The Health Benefits of a Consistent Swimming Routine - Baby Doodah! Today, I’m happy to bring you a FANTASTIC guest-post, written by the author and creator of An Apple Per Day, Kaitlin Gardner. Enjoy! Like any exercise regimen or practice, consistency is essential to long-term benefits to your health. 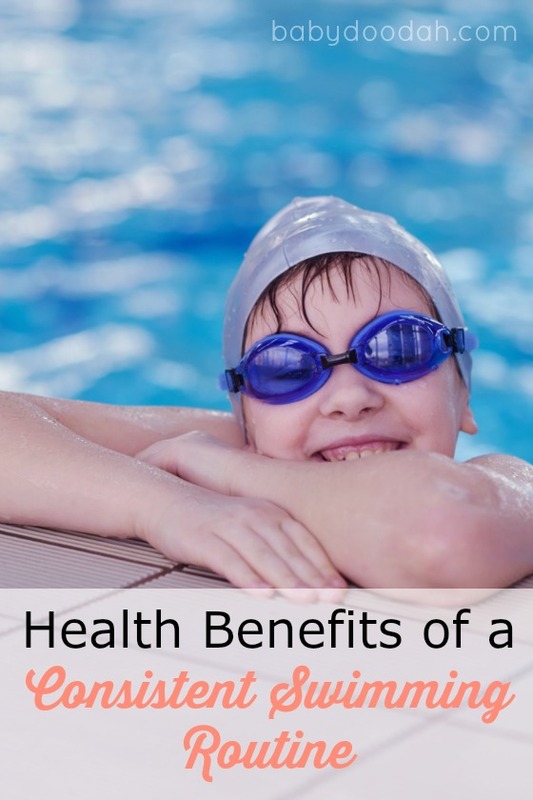 Swimming is no exception, but the health benefits of a swimming routine are special, if for no other reason that the environment in which it takes place. Additionally, with the growing popularity of indoor swim centers, along with traditional gyms and YMCA facilities, swimming can now be enjoyed year-round in nearly every region of the country. If you have access to an indoor pool, which these days many private gyms offer, you’ll be able to enjoy swimming all year long, regardless of weather conditions (providing you can get to the pool)! Indoor pools, if you’ve never tried them, provide protection from the elements and make for a cozy environment for those who aren’t fans of being cold. To find out if indoor swimming is for you, visit a facility and spend time in and around the water. Ask for a tour, and see if it is possible to secure a one-week pass, or trial membership, in order to know whether it’s for you. Swimming is one of the most relaxing exercises a person can engage in, by the very nature of the feeling of the water on your skin, as well as the relative solitude one experiences. Of course, this will vary, depending on where you exercise, but if you regularly spend time doing laps, you’ll soon find that it is easy to get lost in the moment, and shut out the noise of a busy life. In fact, swimming is one of the most meditative exercises you can engage it. Swimming has been shown to lower stress levels over time, in addition to the physical benefits it provides (more below). Regular swim sessions burn calories. In fact, they burn just as many, if not more calories, than similar land-based exercises. Additionally, swimming provides a great workout for your muscles that otherwise wouldn’t get a strengthening/toning boost. Think about it: If you’re running, you are obviously burning calories, but what is running doing for your arms? Swimming provides both upper and lower body a muscle-toning workout. If you add ankle weights, that challenge grows! Swimming is a low to medium-intensity cardio workout that will help you build endurance over time. The consistent, gentle movements of swim strokes will challenge your heart and lungs and provide that valuable aerobic activity that is necessary to improve your cardiovascular health. Swimming is one of the most popular and prescribed methods for recovering after surgery, injury or illness. Because it is low- to zero-impact on joints, everyone from senior citizens to triathletes can participate. In the field of physical and occupational therapy, water-based exercise and movement is becoming more and more popular as research uncovers the benefits of swimming for rehabilitation. Another benefit of swimming for athletes: injuries that would otherwise keep a person from competing, or even practicing, are not exacerbated by swimming and water aerobics, which means that it is possible to stay physically fit while recuperating from an illness or injury. For example, studies have shown that water jogging almost perfect mimics a person’s land-running form. For competitive runners, this is a huge advantage. 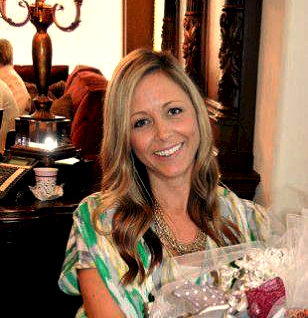 Kaitlin Gardner started An Apple Per Day to explore her passion for a green living lifestyle, and healthy family living. She and her husband have just moved to rural Pennsylvania, where they enjoy exploring the countryside and discovering interesting and out of the way places. She is also learning how to paint with watercolors. I have a friend who attended swimming sessions every saturday and sunday because she wants to lose weight. Indeed, she lost weight but temporarily because she gained back all the burned fats due to her inconsistency. She stopped the session and paid visit to the gym infrequently. That explains, whatever sports or physical activity you’re in, you need to be consistent to have a long-term benefits. Absolutely! Consistency is key with any workout! Thanks for visiting!